What should Keith Olbermann do next? 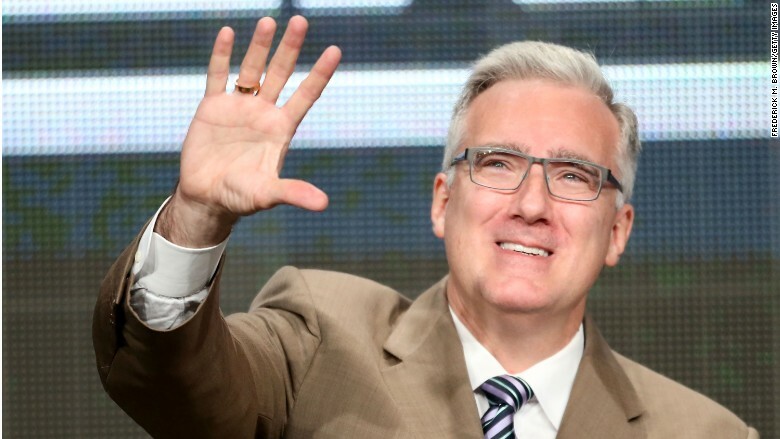 Keith Olbermann is officially looking for another television job. On ABC's "The View" Friday morning, the famed broadcaster said, "I'm coming out of retirement," nearly nine months after exiting ESPN. He didn't specify what he wants to do next. But Olbermann has spoken out against Donald Trump lately, calling to mind his criticisms of George W. Bush and other Republicans on MSNBC in the mid-to-late 2000s. Olbermann's representatives reportedly held talks with MSNBC about a possible return to the channel late last year. It is unclear how serious the talks were. He "declined" the offer, the New York Post reported earlier this month, "in part because of the small salary involved." Olbermann's appearance on "The View" was one of his first times back in the media spotlight since last summer when his weekday show on ESPN2, "Olbermann," came to an end. It was an amicable departure, in contrast to some of his past exits from television jobs. When he signed off, there was immediate speculation that the left-leaning commentator would look for a spot at a news network in time for the 2016 presidential election. Part of his conversation on "The View" had to do with his recent decision to move out of one of Trump's buildings in Manhattan. "If anybody's looking to rent an apartment in New York I can help you with a good lead," he said. "I couldn't go under the sign anymore that said Trump Palace without spitting because I just... I ran out of spit." He also commented, "I'm having the craziest dream right now that Donald Trump is the leading candidate for the Republican nomination and you're all in my dream. When I wake up from this, I'm going to write this all down and it's going make a hell of a novel. It's nothing serious. It's just perhaps the most dangerous presidential candidate since the guy in the middle of the civil war who wanted to give up in 1864." At the end of his appearance, when co-host Joy Behar said, "I hope you get another show where you can spew your stuff," Olbermann replied, "I'm coming out of retirement, so anybody who wants to, just call me."